“I personally was involved in motosport back in the 1980s and 1990s and tragically I lost two friends in an event that I was actually competing in. They were killed in an accident,” he told CIO Australia. Sims believed this accident may have been prevented if there was in some way, communication-wise, to alert the drivers of the situation beforehand. In that vein, Sims started Tasmanian-based RallySafe back in 2010 with business partner Wayne Maxwell, under the parent company Status Awareness Systems. Today, RallySafe provides rally management systems that combine sensors and communication platforms into a package for all forms of rallying and off-road motorsport. It provides a range of features in four key areas: safety, timing, tracking and management. “We thought we had a good idea. We definitely had the drive, me and my partner. We pushed and pushed. . . Whether we thought we’d get to the level we’re at now, I can’t really say. "We definitely joked about it and thought I wonder if we ever will. And I personally don’t think it’s ended yet. We’re getting anywhere up to 10 enquiries a day wanting our services in areas we haven’t yet got to." 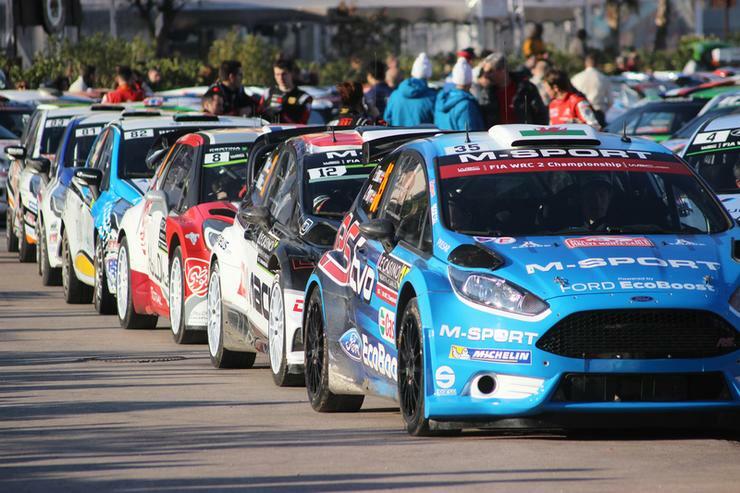 Today, Sims said RallySafe has already been used by hundreds of events worldwide in many different motorsport types. The system is capable of supporting many different event types including A-to-A rallies, A-to-B rallies, navigational events, and off-road events. On the tech front, RallySafe recognised early on that legacy, short-range radio frequency (RF) was ill-equipped to handle the expanding needs of rally sports. Essentially, the technology couldn’t handle challenging terrains or unpredictable weather conditions, and therefore didn’t appreciably decrease vehicle collisions. RallySafe also recognised the power of IoT technology and is building upon its partnership with Kore - initially struck in 2012 - to help it simplify its strategic technology initiatives - with safety being a primary focus. Kore helps companies plan, deploy and manage IoT solutions. “Safety is such a huge thing in this day and age and I believe the ability to transmit or supply status of vehicles in a collision as well as other things such as event timing, and being able to have that instantaneous rather than four hours later when the vehicle turns up with the paperwork has a huge impact on the way events are run,” Sims said. Additionally, Sims said RallySafe needs to provide solutions that meet critical success factors, including regulatory compliance, seamless carrier integration and 24/7 IoT connectivity, reliable vehicle communications and pervasive GPS - and a key reason for why the company has partnered with Kore. As an example, Sims said the company has worked closely with Kore to decrease the latency and multiple passageways to ensure the messages get through. “We also moved onto using GPRS or GSM networks to transmit digital data to relay information and we partnered with Kore on that aspect as well because they have that global status and the ability to assist us to work in all of the different countries and continents we work in,” he said. Kore vice-president Vince Jager said it’s gratifying the company can be part of a solution that helps the motorsport industry be more efficient and safe. He said IoT adoption is increasing across Australia and in a multitude of industries, explaining the company is currently the IoT partner-of-choice for 135 businesses across the country, spanning various industries such as fleet management, healthcare, automotive and insurance. “It’s growing across everywhere with the new technologies coming through. Traditionally, it was very much based on cellular network - 3G and 4G. 5G is coming. There’s One and multi-band IoT which will enhance battery life on remote products. Jager said the tricky part of IoT is putting it all together. “Coming from the idea to the realisation and the actual rollout of the product - you actually have so many elements. You’ve got the idea, you have the solution you want to get to the endgame, but within that there’s so many componentries. The next steps for Sims includes a continuation of his work - and further innovation - on the ongoing progression of motorsport safety. The technology he has in mind includes vehicle-to-vehicle collision avoidance technology; fireground safety technology that could monitor the situation via the internet and locate vehicles and alert people; as well as emergency vehicle tracking and safety. “Anywhere that the type of communications are needed in remote locations or the type of equipment is needed to recognise a status that is not ideal - so a vehicle on its roof, a tractor on its roof or an elderly person that’s fallen down. "The ability for us to recognise those things and then transmit information automatically means the application is endless. Sims said he’s proud of the technology adoption thus far - and the positive safety results for the motorsport industry - but he wants to keep pushing ahead.